Firstly, what data does Volcanocafe hold for each user? We hold virtually no data for each of our users, save the email address used for registering and the IP address that was used when the account was last accessed. Should anyone decide to visit their profiles and fill in the blanks (Name and such) then obviously, that data is stored in our database. We have a limited admin team with the necessary permissions to be able to see any personally identifiable information. As part of the WordPress environment, user’s email address and IP address are logged whenever a comment is made, this allows us to take care of troublemakers by banning IP addresses and email addresses. There is also a security log that keeps our back end secure and to trace any problems encountered. This logs any activity on the site, so when you log in an entry is made in the log with your ip and email address are logged along with the time and date you accessed it, for accounts with higher privileges (Carl, Albert, Geolurking, et al), this data includes any activity done behind the scenes. Our database is stored outwith our WordPress installation, in a password protected MySQL database held by our webhost. User’s passwords are held encrypted in this same database. Access to this database is extremely limited, even most of the admins are unable to access it. Volcanocafe does not serve advertisements to our audience nor is the user database sold or used in any other way. The only reason we insist on users being registered at all, is to help combat the unnecessary chatter by spam bots and to distinguish between users. I found a helpful website that takes us through the 10 Key GDPR requirements, so let me go through these 10 points and address them one by one. As I have stated above, we don’t use or process our user data in anyway other than the logging of email addresses through registration and commenting on the site. None of our team will use this data to contact anyone. If a user has a requirement for contacting an admin directly for any reason, then initial contact is made through our official email address volcanocafe@gmail.com and we will forward the email onto the admin required. This gives traceability that there is a genuine reason for the admin to be given your contact information. Our security system automatically deletes users that have created an account, and never commented (after 30 days), this ensures we don’t keep records of all our visitors and anyone who HAS commented and has an account with us, can request that we delete all the data we have. NOTE: anyone who requests this, please be aware this will remove ALL data from our site, including posts and comments. As previously mentioned, we don’t process any data in anyway except the logging of IP addresses and Email addresses. We don’t serve advertisements on the site, should this ever change (it won’t) then permission for use of this data will be sought. We maintain a security log on site, which allows us to monitor the database and any accessing of it. Should we ever discover a breach in the site, then this will be logged, and users notified. Only admin and moderators can access our database or comment logs, this ensures that user details are kept from the general public, we also maintain a firewall and security suite to protect the site. If anyone suspects that their data has been accessed without their permission, then you must contact us at volcanocafeorg@gmail.com ASAP, so we can investigate. As it stands, no major reworking of the way our site is run is planned and should this occur, we will undertake this assessment and notify users in advance. No user data is used in anyway outside of the Volcanocafe environment. We do not do significant processing of personal data, so it seems a bit overkill for us to appoint someone specifically in this task. I suppose this will also constitute awareness and training for the admin team also. I hope this was not too dry for everyone. I realise everyone will be getting sick to death of hearing about the GDPR, but we felt it was necessary for us to try and explain how this legislation applies to us and how we run the blog. If you have any questions or concerns regarding your data, then please don’t hesitate to contact us via our email address and we’ll get back to you. During the recent Hawaiian activity and as happens with any large volcanic activity, we have seen a large jump in users visiting. Our Facebook group recent hit 2500 members and as I write this we stand at 2600 members. We could have had many more, but each member is vetted prior to being allowed access and if the profile doesn’t fit our normal sort of visitor, then they are politely declined. Staying with Facebook, we have a new member of our moderation team with Jonet Greene helping us keep the place clear of unwanted comments and making sure the members adhere to Rule #1 (be nice). Moving to our Twitter account, we continue to slowly grow our audience with an unsettling 666 followers, whilst this might not seem a large amount, our last 28 days activities has seen our posts appear in the newsfeed of 12k users, through retweets and people liking our posts. The main site has also seen a jump in visitors, jumping from around 3.5k weekly unique visitors to around 5k and a peak of over 13k on the 14th of May. This increase in traffic also seen us reach a large milestone on the blog, with over 2 million views of the blog and over 300k unique visitors to the site. You may have noticed we have had a couple of outages on the website, this was caused by a security hole that allowed someone to upload a piece of malicious software to the site, which took pleasure in taking us offline. I feel this was not a targeted attack, but one that scanned for security holes and unfortunately found one. This hole has now been plugged and our back end security beefed up somewhat. the secured https version of the site as seen on Google Chrome and Microsoft Edge: Always look for the secure padlock and the “https://” when visiting any site you need to enter data into. During this process, we have also moved to an entirely HTTPS (secure browser protocol), which provides another layer of protection to the site with traffic now encrypted. Prior to this, the landing page was the old HTTP (unsecure) format, but secured for any links clicked after the initial landing page (log in has always been secured). 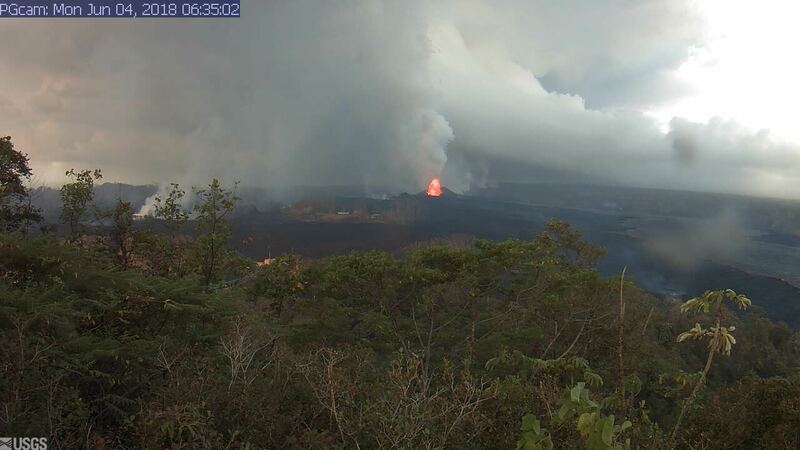 Kilauea is getting busy, 22 in the last hour with 2 over 3.0. This guy has a bunch of pictures of kapoho from the evening yesterday. There are also some pictures of fissure 8 and its rapidly growing cinder cone, and of the lava river going past pu’u honuaula. Hmmm, I really loathe this facebook stuff. Sorry. I love FB, absolutely can’t live without it, and the “inside information” I get all hours of the day. Some of the pictures and videos are out of this world and are not available anywhere else. But because of the hatred I did not post any links in the beginning and have again stopped. There are ways to use FB correctly. Just because one of the moderators (me) has a vile distaste for it, it doesn’t mean VC as a whole does. VC even has a presence there and pertinent information is always welcome no matter what the source. One of the primary goals of VC is to be a place where the general public can gather to discuss and learn about volcanoes. No matter how you look at it, volcanoes can be strange critters to understand and this blog exists to clarify what is going on into something an average person can understand. Sort of like using bentonite clay to remove the particles fogging up a summer wine or hard cider. UHH UAS thermal imaging flight indicates that lava is about 500 yards from Kapoho tidepools. Flow front is about 0.5 miles wide and extends from Kapoho Beach Road almost to Kapoho Kai Drive and down to Ililani Road. KHON News have said in a video that lava has now covered over 4,200 acres which they indicated is 8% more than the 1955 eruption covered. Did not know about this program. State backed insurance for property in zones 1 and 2. “A particularly devastating eruption in 1990 cost millions for private insurers, who decided that enough was enough when it came to insuring homes near Kilauea against lava damage. Soon, most insurance companies stopped insuring property in Lava Zones 1 and 2. The market had spoken. It was simply too risky to live that close to Kilauea. But that wasn’t acceptable to Hawaii policymakers, who decided that if local insurers wouldn’t willingly insure high-risk property, they could do so under compulsion. And you can bet your bottom dollar that insurance rates state wide went up to defray the costs. Now… living ‘next to’ an active volcano is one thing… but living in the @#$$ RIFT ZONE of it? Vacationland was probably in the safest part of the rift zone, but you can see how that worked out. The actual rift zone extends several km off shore as the Puna ridge. That ridge didn’t get there by itself. Kilauea put it there. No matter where on earth you go, the land you are standing on is there due to some geologic process. Some of them more violent and catastrophic than others. Where I am at, is due to erosion of the southern part of the Appalachian mountains from when they were as high or higher than the Himalayas. Munich is built on sediment and gravel washed down from the Alps. Tampa and Orlando Florida used to be directly south of what is now New Orleans before that crustal block slid to it’s current position. The Yucatan Peninsula used to be next to current Galveston Texas. Geology happens and there is not a single thing you can do about it, other than get out of the way. Of course this also means that the devastation of lower Puna is not a natural disaster at all. It is fully man-made. Sort of like putting up a camp site in the middle of the Interstate and wondering why the traffic keeps running over your tent. 3 people had to be airlifted out as they got trapped by lava flows. Lava was 430 yards from the ocean at 06:00 (Hawaiian time), according to Hawaii News Now. It appears the whole Caldera is now sinking. If it is doing so in space earlier occupied with magma. Then thats a lot of magma on the move. I don’t think the entire caldera is going to collapse, that would be a statistical anomaly with what we know about kilauea’s caldera cycle. The caldera will reform of course but probably only after the existing one has been mostly or entirely buried somewhere between 300 and 1000 years in the future. There will be many other pit craters like the current one that will form over that time. This current eruption is big but nowhere near big enough to cause a caldera collapse, and neither is the volume of the dike. To get a full caldera collapse the only thing that could have really done it is a large volume eruption on the puna ridge, which there is direct evidence of. I am aware of that. I am just refering to the slumping it is already doing so far. not a full collapse. Also the cracks on that side of halemaumau could be slump cracks caused by that mass of rock sliding towards the overlook crater. You can sort of see it move towards that direction. I dont know why that would happen because the sliding zone is made of rock that was poorly observed or not observed at all (probably mid 19th century) but it does appear that those cracks are caused by sliding of the area towards the big hole that wasn’t there before. A bit like a rock glacier. To what extent it will move will be interesting, as it could end up mostly filling the overlook crater in a few months if it keeps going, something that would take at least a year of continuous eruption to accomplish. I guess this is another novel way for a volcano to fill in a crater that hasn’t been discussed much before..
Actually I just read the picture description and it appears that what I said is exactly what HVO is saying too. Magma which according to HVO is not erupting at Lower Puna so it must be going into the Upper and Middle ERZ reservoirs and I dont think it will make it to this eruption. It would be interesting to know if this means that the next inflation at the summit will trigger the fresh magma at the ERZ to erupt somewhere again. I think that will happen some point soon but not immediately. The next eruption will probably be from the overlook crater and that will probably go on for a while and fill it up before draining again during an intrusion. That intrusion could cause an eruption though in the areas you mentioned, pretty much like the 1790-1924 period of activity. Most likely an eruption on the flank would be somewhere between pu’u o’o and mauna ulu as that is the most active part of the east rift and where most of its historical eruptions have happened. 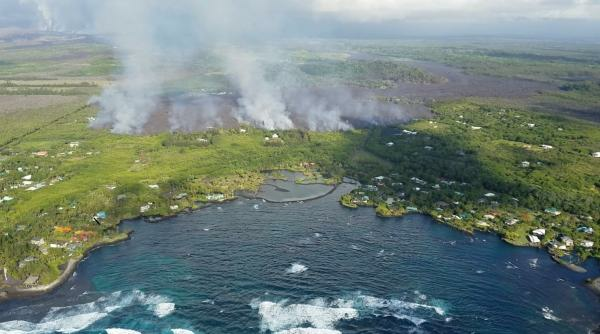 Eruptions could also happen on the upper southwest rift or in kilauea iki with less warning as those are connected at a shallow depth to the feeder system under halemaumau. This is a very dynamic period of kilaueas cycle of activity, it wont be long before something else interesting happens there. Whoever it was that first found Hawaii just about hit the jackpot, compared to all the tiny flat coral atolls that most other places had to make do with. That is probably why we as a species find volcanoes so interesting, they are the earth itself moving. It is also probably because most people (including all people not from Africa) have ancestry dating back to east Africa at some point where there are lots of volcanoes so it is probably ingrained in out evolution, and possibly why we like fire so much. The steam at the vent is decreasing again, maybe another drone shot? I think it’s spelled “verne”… and no, that would be an impossibility based on physics. kilauea the last few shakes. Some ash at the vent, not much though. This outlier was just outside Volcano village. Hello! No cough, but it shaked. It’s something different, just for a little variety. A triplet of otherwise ordinary scattered mid-3’s shook up the works below. Drone operator stated that they are going to check out some cracks in a roadway, and that steam from fissure 10 might be increasing so they are gonna look at that also. what happened at Fuego ? Ash to 40k and a pyroclastic flow. 7 dead or missing. Looks like a near miss on a village. I wonder if Carl knows anything about it. That is a really big eruption for a volcano that is so active, probably at VEI 4 intensity and maybe even an actual VEI 4 if it keeps going for a bit. It managed an eruption that big in 1974 so it could do it again for sure. This guy, by the looks of it, has had a very violent basaltic Plinian éruption in 1974, with pyroclastic flows all over the place and stratospheric ash injection. Since then, it has been erupting on and off on a Strombolian way, at times punctuated by Etnean paroxysms, high lava fountaining and profuse lava flowing that avalanched downslope due to the the sheer steepness of the cône. This time seems to have been différent. No lava flows, but formidable explosive power. Définitely Subplinian in character. Pyroclastic flows were caused by column collapse, and, due to people staying in reach down the valleys, the outcome was predictable. This really raises the question about basaltic stratovolcanoes like Villarrica, Llaima, Etna, Fuji Yama, Mayon and a whole host of others, who may unexpectedly decide to go full scale and do the unexpected. Villarrica did this in a spectacular way back in 2015, albeit being dwarfed by the ginormous 1948 éruption (think an Etnean paroxysm lasting for days, melting away all the icecap, and drowning all valleys into lahars). Mayon did this too to Cagsawa City in 1984. And, think about Etna, last very big one, a healthy VEI 5, was in 122 AD, Big fat Plinian activity which wrecked Catania. So don’t be too complacent around those beasts. 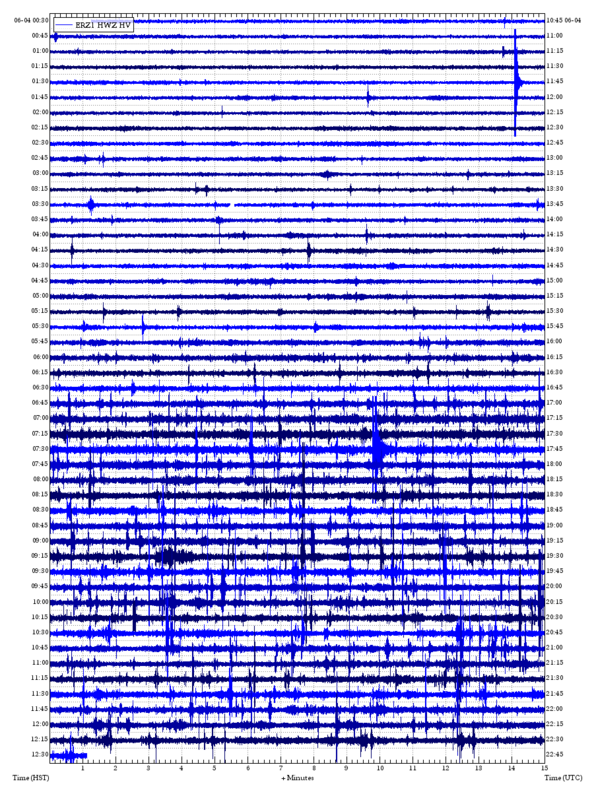 Sure they tend to be better-behaved than let’s say Montagne Pelee or Merapi, but when they blow, they do do with as much destructive power as their andesitic counterparts. You are forgetting tarawera in New Zealand. basically the same magma as what is erupting at kilauea now but it was the biggest and most violent volcanic eruption in New Zealand since the last taupo eruption. Really kilauea should be on that list too with not only the 1790 eruption but also the equally big uwekahuna ash eruptions, some of which were completely magmatic subplinian eruptions of probably VEI 4 scale or even bigger. Apparently some of them started with lava fountaining high enough to deposit cinder at the south coast (aka way higher than in 1959), and then pyroclastic surge deposits an equal distance. No-one was on the big island at that time (although other islands might have been inhabited) so no one saw this happen directly but the geology of the southern coast supports this scenario. It is a paid article but this is the info on the explosive eruptions at kilauea. I think we were looking for a burp? Right in the middle of the caldera. It has taken the tilt measurement off line. And just like that kilauea now has a serious rival for this years Pliny award. That is probably the biggest explosion on earth since December last year when bezymianny went off. Just from all the pictures it does look like it was quite a bit bigger than sinabungs eruption in February. Poor folks. It seems to have caught them off guard, which is unusual for Guatemalan monitoring. They’re usually very on the ball. 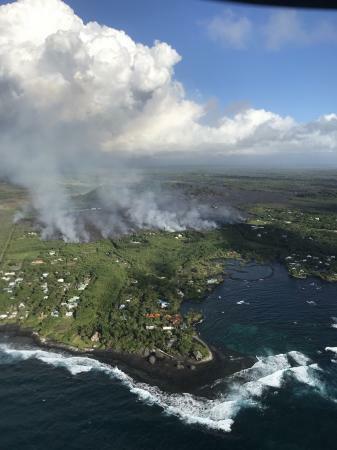 The evening update from HVO puts the lava at 250 meters from the shore. At the current rate, that is 10 hours. Fissures 9 and 10 are said to be steaming. If either of those erupts, it could divert lava from number 8, and perhaps save what remains of Kapoho. But endanger more of Leilani in the process. The topography would mean that any flow from uprift of fissure 8 would get dammed by the fissure 8 flow and eventually rise up and flow into it, so it wouldnt really help much at all… Either that or it would flow over the edge of the rift and to the north and into other areas not yet affected. That is the problem. If you could divert the lava into safe, uninhabited areas, you’d do it straight away. All it takes is breaching the channel. But there are no safe spaces down there. West of Pu’u’O’o would be good but that is engineering we can’t yet do. How would it be diverted to the west side of pu’u o’o? Lava did erupt on the west side of pu’u o’o but got cut off by the dike that later erupted in leilani. It would be hoped that people don’t make that mistake again after this eruption in case it is a repeat offender with another eruption in the general area some 10-20 years in the future. That area around highway 130 is definitely something to watch, as there is definitely magma there that will erupt eventually. We need deep engineering: change the stress vector to collapse the dike at the appropriate point. A bit like shaped charges but acting at long distance. In theory, if you know the stress field and the faults, you could trigger a convenient failure of the plumbing system. The main term here is the ‘in theory’, of course. But it should be obvious that building houses in hazard zone 1 is not recommended. One could also be surprised by the fact that Kapoho only had one access road. If the fissure had erupted at four corners, I wonder if the disaster plan could have coped. 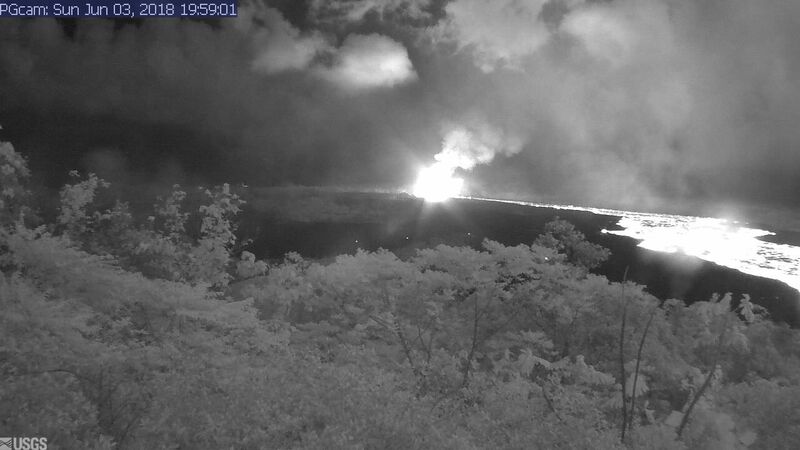 The saturation levels on the camera are different so don’t compare brightness, but look at the outlines of the lava flow, compared to where the tree line is. You expect the flow to expand as it increases. It was wider on June 1, smaller on June 2 and in between on June 3. It is variable, but not getting less. Yet. The lava channel is becoming narrower because it is established as the main transport of lava. If it gets narrower it is probably deeper if the lava is flowing at the same rate, either that or there are lava tubes in the crusted over part of the flow that carry some of the volume. A better indication of eruption rate would be the flow rate at the vent rather than how wide the channel is, and the flow from the vent is basically unchanged from yesterday. HVO has reported that there actually is some activity at fissure 9, but it is minor and negligible compared to fissure 8. The flow at kapoho is also less than 200 meters from the ocean now too. Photos of Kapoho overflight, 7am Hawaiian time June 3. One of the captions said ‘nearly all of the front was active and advancing; advance rates were estimated at an average of 250 feet/hour (76 m/hr), and as of 7AM the flow was 500 yards (457 m) from the ocean.’ It’s obviously a lot closer to the sea now. Yes it is probably about 150 meters or less. Carl has reported on facebook that his family is safe. Possible video of the steam plume when the lava flow hit Green Lake. Not sure if this is reliable. Looks about right, they must be on the top of the 1960 cinder cone with the lava flow going in the area below them where there is some steaming or smoke. 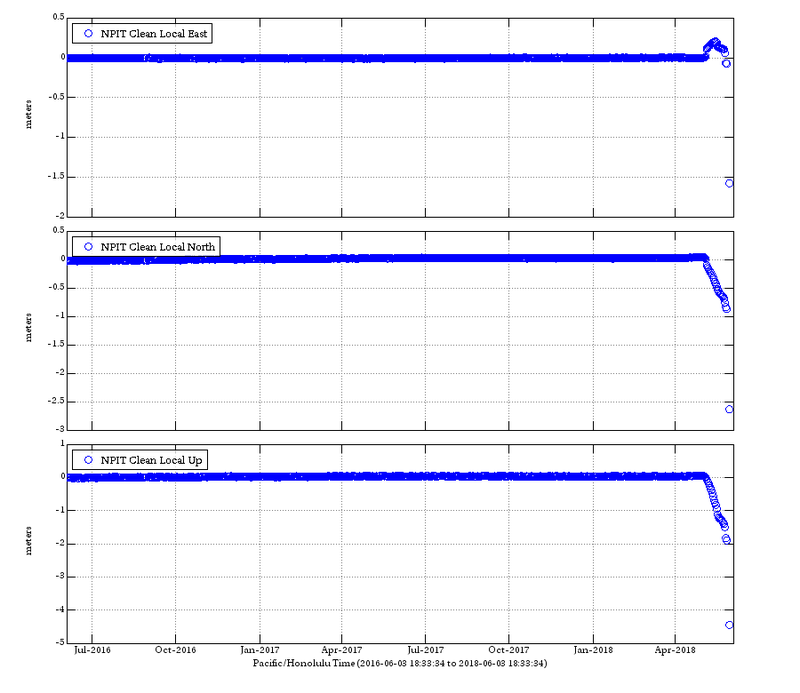 On the rapid update uncorrected feed “Local Up” is down even further at -7 metres! With a heavy heart about the disaster in Guatemala! It probably fell in, that spot is right next to the edge of the pit. If not then the spot it is on is probably falling down slowly. Here it is. I actually have no idea how he got there unless just just walked in or has a boat and went around. There is a 300 meter ban on boats going near the lava but on that scale 300 meters isn’t much so he is probably outside that. Some video of the ocean entry. As the lava seriously meets the water. EZR1 looks to be nearby. 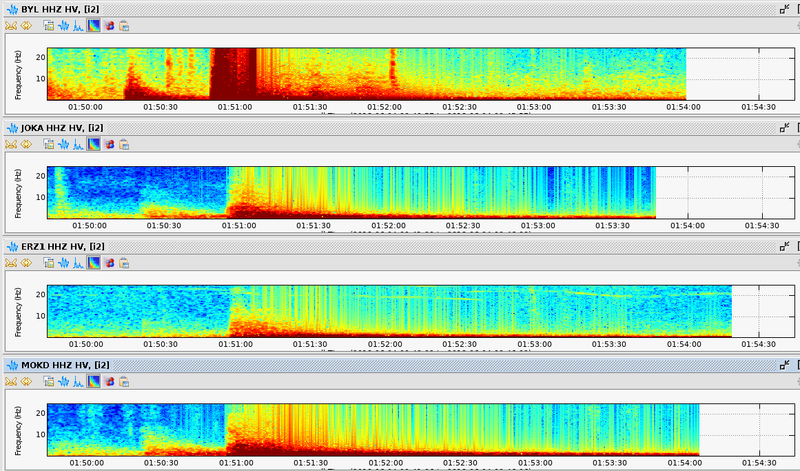 Halema’uma’u Crater’s looking relatively steam-free right now! You can see in the webcams that the western part of the crater’s done some serious slumping!